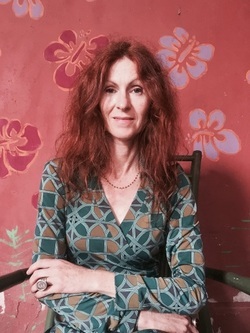 Catherine McNamara is an Australian short story writer and novelist. She studied Modern African History and French at Sydney University before moving to Paris. She worked in an embassy in pre-war Mogadishu and later lived in Ghana for nine years where she co-managed a bar and art gallery. Catherine now lives in Italy, where she has worked as a translator and English teacher. Catherine’s short stories have been published in the UK, Europe, Australia and the USA, appearing in Ambit, Structo, Wasafiri, Short Fiction, Southerly and Litro Online, and in various anthologies. Her stories have been Pushcart-nominated and short-listed for competitions including the Royal Academy & Pin Drop Studio Award and the Kingston Writing School/Hilary Mantel Competition. Her collection Pelt and Other Stories (2013) was long listed for the Frank O’Connor International Short Story Award and semi-finalist in the Hudson Prize.